The KCS textbook selection committee is considering the following Tennessee State Board of Education approved textbooks for grades K-12: Science, Physical Education/Wellness and Health, Fine Arts and Arts, A/V Technology and Communications. KINGSPORT, Tenn. – Before making a recommendation to the Kingsport Board of Education for adoption, the Kingsport City Schools textbook selection committee is considering the following Tennessee State Board of Education approved textbooks for grades K-12: Science, Physical Education/Wellness and Health, Fine Arts and Arts, A/V Technology and Communications. The State Board of Education approved textbooks are available for viewing online on the Tennessee Department of Education webpage, by clicking here for Online Samples. Reviews completed by the State Advisory Panelists, as well as public comments and publisher comments from the state review process, can be found on the TDOE webpage, by clicking here for Textbook Reviews. Those who wish to make comment on the state approved textbooks may do so by submitting their comments to Dr. Lamar Smith via email at hlsmith@k12k.com from March 26 – March 30, 2018. Computer access to view proposed materials is available at Kingsport City Schools Administrative Support Center, 400 Clinchfield Street, Ste. 200, 2nd floor, downtown Kingsport. In addition, science textbooks will be on hand in the Heritage Room located in the KCS Administrative Support Center. 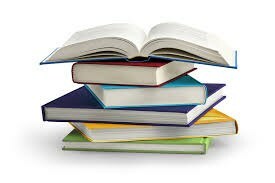 Final textbook recommendations will be made to the Kingsport Board of Education on April 3, 2018. The Board has the responsibility to decide by vote which textbooks are approved for use in the district. The final adoption of school district textbooks is due to the Tennessee Department of Education by April 15, 2018.